The Dude shall abide, and so will his fans, at both The Wiltern and Fountain Bowl. Lebowski Fest rolls 'n bowls in Southern California on April 19 (at The Wiltern) and April 20 (at Fountain Bowl in Orange County). Cinematic stories set in Southern California? They're famous for a few things. There are the noirs, the sticky-twisty tales that go through a few turns, then double-back, then press on, all to keep audience members guessing. There are the capers, the quirky side-splitters that keep the grins going. And LA has its share of no-worry-no-hurry characters, the heroes that, like, will remain fully unruffled in the face of adversity. "The Big Lebowski" synthesized all of these vibes, then added a swirl of White Russian on top of the comical crime story sundae. 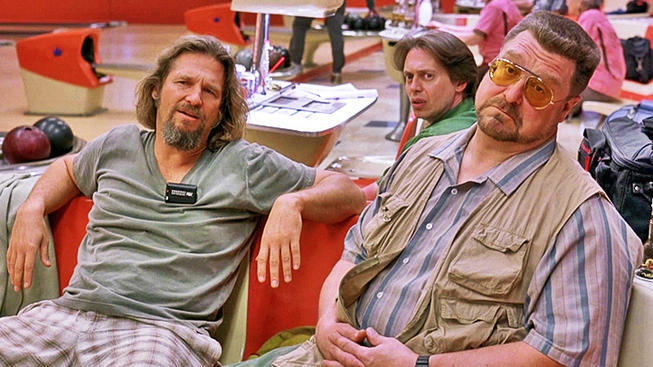 And to celebrate the Coen Brothers' 1998 classic, there is, each and every year, Lebowski Fest, which gives Dude devotees the chance to don those bathrobes, hear some music (maybe not The Eagles), and bowl a few frames. The festival returns to Southern California on Friday, April 19 and Saturday, April 20. And that's, not, like just our opinion, man. On April 19? The Dude himself, as in Jeff Bridges, will take the stage to rock The Wiltern, along with The Abiders, and Trainreck with Kyle Gass of Tenacious D. Yep, the movie'll screen, too. On April 20? That's when the balls shall roll, at Fountain Bowl in Orange County, along with trivia costumes and chances to show off your costume. Are you going as Walter this year? You have the sunglasses, and the cargo shorts, surely. So go for it. Part of ticket sales will go to help No Kid Hungry and Everything Will Be OK Project. Other details can be, like, found here, mavens of noir-esque comedies that call upon a host of Los Angeles landmarks, while looping in a cadre of occasionally loopy and ultimately endearing characters. Save us a seat, and order us a mug of that good sarsparilla.